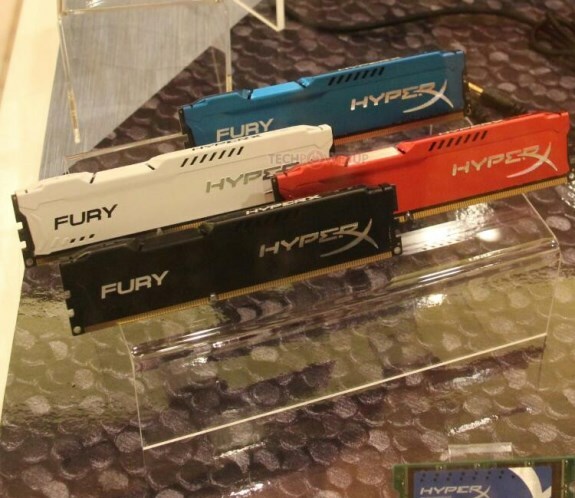 TPU reports Kingston will soon introduce Fury, a new line of HyperX memory that will be positioned between the mainstream Genesis and the high-end Predator series. Kingston's HyperX Fury will compete with Corsair's Vengeance series and will be available in various colors to match your build color scheme. HyperX Fury will ship in speeds ranging between DDR3-1600 and DDR3-2400, and in kit sizes ranging between 4 GB and 64 GB. It comes in four color options. In related news, you can find HyperX Genesis SO-DIMM and HyperX LoVo SO-DIMM modules chilling around next to the four.